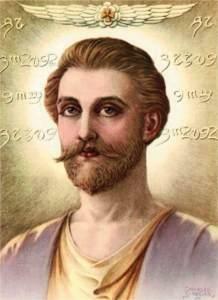 Guy Ballard: "Truly the Great Ascended Masters are Gods. It is no wonder in the mythology of the ancients that Their activities have been brought down to us in the guise of myth and fable. They wield Tremendous God Power at all times because They hold with unwavering determination to the Great God Presence and hence all Power is given unto Them for They are All Perfection." Saint Germain: ""When Jesus said, 'All these things I have done, ye shall do and even greater things shall ye do,' He knew whereof He spoke. He came forth to reveal the Conscious Dominion and Mastery that it is possible for every human being to attain and express while still here on Earth. He showed the Dominion of the Ascended Master and proved to mankind that it is possible for everyone to so call forth his God Self that he can consciously control all things human. "The Great Ascended Masters of Love, Light, and Perfection who have guided the growth of humanity on this planet from the beginning are no figment of anyone's imagination. They are Real visible tangible glorious living breathing Beings of such Love, Wisdom, and Power that the human mind gasps at the immensity of it. They work everywhere in the universe with complete freedom and limitless power, to do naturally all that the average individual considers super-natural. "They are wielders of such Power and manipulators of such Force as to stagger the imagination of the person in the outer world. They are the Guardians of the race and, as in the world of physical education various grades of teachers are provided to guide the development of the individual's growth from childhood to maturity, and then beyond preparing him for special work; so do the Ascended Masters of Perfection exist to educate and help the individual that he too may grow beyond ordinary, human expression. Thus, He develops His Super-Human Attributes, until like the student graduating from college, the one under the care and instruction of an Ascended Master graduates out of his humanity into the Full Continuous Expression of his Divinity. "The Ascended Master is an individual who by self-conscious effort has generated enough Love and Power within Himself to snap the chains of all human limitation, and so He stands free and worthy to be trusted with the use of Forces beyond those of human experience. He feels himself 'One' with Omnipresent God 'Life.' Hence, all Forces and things obey His command because He is a Self-Conscious Being of free will controlling all by the manipulation of the 'Light' within Himself. "It is through the Radiation or Outpouring of this 'Light' which is really His own 'Luminous Essence of Divine Love' that an Ascended Master is able to help those who come under His Care and Direction. "When such an Outpouring to a student takes place, his own Inner bodies, and by that I mean his emotional, mental, and Causal bodies absorb the Master's Luminous Essence, and the 'Light' within them glows and expands like a spark which one fans into a flame. "This 'Luminous Essence' has within It the Highest Force in the Universe for it dissolves all discord and establishes Perfect Balance in all manifestation. The Ascended Master's Body is constantly pouring out Rays of His 'Light Essence' upon the discords of Earth dissolving them as the rays of force which we call light and heat from our physical sun dissolve a fog. "The Radiation They pour out to humanity of Earth is Consciously Drawn Energy to which They give Quality and again send It out to accomplish a definite result. In this way, They give Protection thousands and thousands of times to persons, places, conditions, and things of which mankind is totally oblivious, going on its appointed way serenely unconscious of its Protectors and Benefactors. "In this kind of Activity the Ascended Masters are able to change the bodies They function in like one ordinarily changes his clothes for the cellular structure is always under conscious control, and every atom is obedient to Their slightest direction. They are free to use one or more bodies, if the work They desire to do requires it, for Their ability to assemble or dissolve an atomic body is absolutely Unlimited. They are All-Powerful Manifestors of All Substance and Energy for the Forces in Nature which mean the four elements are Their willing and obedient servants. "The humanity of Earth frequently, in its ignorance and limitation, presumes to pass judgment upon and express various opinions about Jesus and many Others of the Ascended Host. That practice is one of the most binding things it can indulge in, for in such activity the criticism and judgment sent forth in this way simply return to its generator and thus mankind is bound more tightly to its self-created suffering and limitation. The activity of the Law is that the Ascended Masters having freed themselves from human limitations have become a Blazing Outpouring of Light into which no human thought of discord can possibly enter. This compels all destructive thought creation and feeling to return to its sender and bind him still more closely in the chains of his own creation. "If human beings could see their own thoughts, feelings, and words go out into the atmosphere upon the ethers gather and gather more of their kind and return, they would not only be amazed at what they give birth to but would scream for deliverance - and if for no other reason than to blot such creation out of mind they would with full determination face their own Divinity and enter into It. Thoughts and feelings are living pulsating things. The individual who knows that will use his wisdom and control himself accordingly. "Jesus is to mankind gaining its experience on this Earth as the Great God Self within every human being is to the personal or outer self. He revealed the Master Record to the outer world, and He is still the Living Proof of the individual's ability to free himself from all limitation and to express Divinity as was originally intended for the first condition in which humanity existed was wholly harmonious and free. "When some of those individuals who study Life and the Laws of the Universe - more deeply than the mass of Earth's children - become aware of the fact that there are Ascended Masters, they often desire to go to these Great Ones for instruction. While, in many instances, this is an unconscious upreaching of the soul within to the Greater Light yet the personal self little realizes in what relation it stands to those Great Beings who are Wholly Divine. "There is a way by which an intensely earnest and determined student may make contact with one of them but that can only be through the activity of enough Love and discipline of the personality. If the motive for such contact be for the gratification of curiosity thinking to prove or disprove the Ascended Masters' existence to merely solve a problem or to convince a doubt in the personality it will never come about rest assured of that for the Ascended Host are never concerned with satisfying the human side of any student. Their entire effort is with the expansion of the God Self Within so that Its Power may be released forcefully enough to snap the limitations in the human self that do not give it a Perfect Vehicle for use in the mental, emotional, and physical worlds of manifestation. These are the realms of thought, feeling, and action. "Human weaknesses and limitation simply impair the vehicle that should be trained and kept in the best possible condition as an efficient servant for the use of the Great Inner God Self. The human body with its faculties is God's Temple of Energy which the 'Great God Presence' provides and through this outer self It wishes to express a Perfect Divine Plan or Design. If the uncontrolled sense appetites and demands of the personality waste the God energy so the 'Inner Presence' is not given command of the vehicle It steadily withdraws the human self loses the power to manipulate mind and body and the temple collapses into decrepitude and dissolution. We then have the condition the world calls death. "The person who seeks to contact an Arisen Master in the visible, tangible, living, breathing body without the preparation needed to gradually attune his own outer structure and mind is in the same position a child in kindergarten would be were he to see a college professor and insist on learning the 'A B C's under him. "The Ascended Masters are Really Great Batteries of Tremendous Power and Energy and whatever touches Their Radiance becomes highly charged with Their 'Light Essence' through the same activity that makes a needle kept in contact with a magnet take on its qualities and become a magnet also. All Their help and Radiation is forever a free Gift of Love. This is the reason They never use any of Their force to compel. "The Law of Love the Law of the Universe and the Law of the individual does not permit the Ascended Master to interfere with the free will of the individual except at those periods of Cosmic Activity in which the Cosmic Cycle supersedes that of the individual. 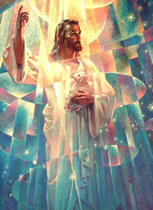 It is during these times the Ascended Master may give more than ordinary assistance. The Earth has entered such a Cycle now, and the greatest Outpouring of the 'Light' the Earth has ever known is being and will continue to be shed upon humanity to purify it and re-establish the Order and Love that is imperative for the future maintenance of our planet and the system of worlds to which we belong. All that does not or will not come into the action of Order Balance Peace must of necessity pass into some other school-room of the universe and work out its own understanding of this Law in some other way than is to be the expression of the future Life upon our Earth. "There is only one passport into the 'Presence,' of these Great Ones and that is Enough Love poured out to one's own God Self and to Them united with the determination to root out of the human all discord and selfishness. When an individual becomes determined enough to serve only the Constructive Plan of Life, he disciplines perfectly his human nature, no matter how unpleasant the task. Then he will automatically draw to himself the attention of an Ascended Master who will take note of his struggles and pour out courage, strength, and Love sustaining him until he maintains permanent contact with the Inner God Self. "The Ascended Master knows and sees all concerning the student for He reads clearly the record which the student has made in his own aura. This reveals the state of the disciple's development his strength as well as his weakness. The Ascended Master is the All-Knowing Mind and the All-Seeing Eye of God for from him nothing can be hidden. The one who wishes to come into the visible, tangible 'Presence' of the Ascended Host should understand that unless he makes himself a Radiating Sun of Love, Light, and Perfection which the Master can expand, and use as a part of Himself that He can direct to any place consciously at will he would be useless merely a barnacle and drain upon the Master's work and world. "If the student has not, be not willing to, or does not discipline the personal self so it is calm in mind, peaceful and loving in feeling, and strong in body, he is not material that the Ascended Master can use in the more-than-human work that He does. When the student has not a strong, controlled, well developed vehicle, he is unable to co-operate with an Ascended Master, and thus do work of a kind which is beyond that of the ordinary human experience. "Were one of these Perfected Beings to take a student without such qualities into His field of work, He would be making the same mistake one does in building a machine or home if he constructs it of imperfect material. That kind of material naturally could not stand unusual strain, under sudden need, or prolonged service. Thus, it would not be the part of either Wisdom, Love, nor Mercy to subject anyone to an experience for which he has neither the training nor is strong enough to bear. As the Ascended Masters are the Acme of Perfection, They naturally would not do anything except that which is Just, Loving and Wise. "My son, self-correction and control of the forces within the use of human consciousness is not the work of a moment nor a path of ease, lethargy, and self-gratification for the senses riot within the average human being and he rebels furiously against the restraint of his lower nature which is imperative if he is to govern these forces properly within himself especially in his feelings so they may be used and act only under the conscious Dominion of his God-Mind. "The saying that 'Many are called but few are chosen,' is very true. All are constantly being called but few are awake enough to realize the Ecstatic Joy and Perfection within the God-Self and to hear Its Voice in the 'Light' forever and forever calling everyone back into the Father's House. "Every individual on Earth is free each moment to 'Arise and go unto the Father' - his God Self - if he will but turn his back upon the creation of the human senses and hold his attention on the Only Source in the Universe from which Peace, Happiness, Abundance, and Perfection can come. "There is a way for all to come into contact with the Ascended Masters, and that is to think upon them call unto Them and They will answer every call with Their own 'Presence' of Love - but the motive for the call must be Love of the One Source - Love of the Light - Love of Perfection. "If this be real, determined, and steadfast, the student will receive greater and greater Light for the 'Light' knows Its own and gives of Itself, unceasingly, unconditionally, every moment. Ask and ye shall receive knock and it shall be opened unto you - seek and ye shall find - call unto the 'Light' and the Ascended Masters will answer you for They are the 'Light' of this world." 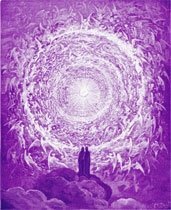 This book is a record of Godfre Ray King’s initial experiences with the Ascended Master Saint Germain and includes His instruction to Godfre on the Great Laws of Life. Never before, except in the Retreats of the Brotherhood of Light, has such in-depth and transcendent Instruction concerning the "I AM " been publicly given to individuals.